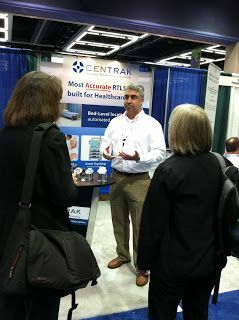 We had so many great conversations with Hospital Administrators and Facilities Managers at the 2011 ASHE Show in Seattle, WA. A tremendous amount of hospitals are taking a serious look at temperature monitoring solutions and Real-Time Location Solutions as they plan for the future. Of all the topics we discussed, our Remote Temperature Monitoring solution was the hot subject among our booth visitors. Hospitals are required to adhere to stringent temperature-monitoring standards for the hundreds of refrigerators and freezers they use to store life-saving medical resources like blood, pharmaceuticals, organs, vaccines, tissue samples and food. Healthcare organizations are now leveraging new technologies to automate the temperature-monitoring process, reduce human error, and better meet compliance requirements.